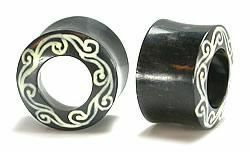 TRIBAL INLAY Natural Horn Tunnel Eyelet Body Jewelry - Price Per 1 Please Note: All Natural Jewelry will vary slightly in color and size. We do our best to match up the two most alike. Since our Natural Line is made from the best Craftsman there is very little variations between pieces. 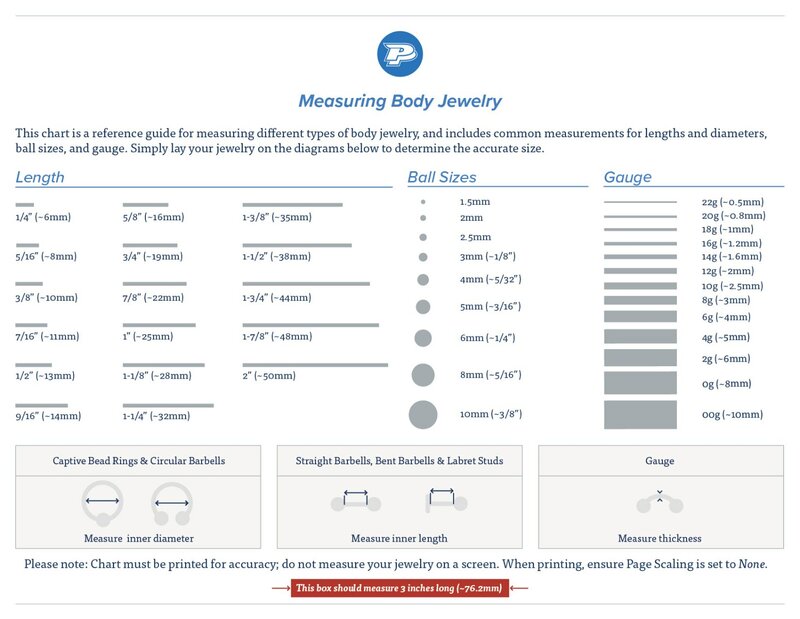 https://www.painfulpleasures.com/tribal-inlay-natural-horn-tunnel-eyelet-body-jewelry-price-per-1.html?___store=1 2940 TRIBAL INLAY Natural Horn Tunnel Eyelet Body Jewelry - Price Per 1 https://cdnstoremedia.painfulpleasures.com/media/catalog/product/o/r/org019.jpg 10.19 10.19 USD InStock /Body Jewelry/Plugs and Tunnels /Body Jewelry/Organic Body Jewelry /Body Jewelry/Organic Body Jewelry/Elementals Organic Horn Jewelry Collection /Body Jewelry/Organic Body Jewelry/Elementals Organic Horn Jewelry Collection/Organic Horn Tunnels /Body Jewelry/Plugs and Tunnels/Tunnels/Organic Tunnels /Body Jewelry/Organic Body Jewelry/Organic Plugs & Tunnels /Body Jewelry/Plugs and Tunnels/Tunnels /Body Jewelry/Plugs and Tunnels/Plugs & Tunnels by Size /Body Jewelry/Plugs and Tunnels/Plugs & Tunnels by Size/00g Plugs & 00g Tunnels (10mm) /Body Jewelry/Plugs and Tunnels/Plugs & Tunnels by Size/0g Plugs & 0g Tunnels (8mm) /Body Jewelry/Plugs and Tunnels/Plugs & Tunnels by Size/7/16" to 15/16" Plugs & Tunnels (11-24mm) /Body Jewelry/Plugs and Tunnels/Tunnels/Organic Tunnels/Horn Tunnels /Body Jewelry/Plugs and Tunnels/Tunnels/Organic Tunnels/Bone, Silver & Stone Tunnels TRIBAL INLAY Natural Horn Tunnel Eyelet Body Jewelry - Price Per 1 Please Note: All Natural Jewelry will vary slightly in color and size. We do our best to match up the two most alike. Since our Natural Line is made from the best Craftsman there is very little variations between pieces. USD 2941 TRIBAL INLAY Natural Horn Tunnel Eyelet Body Jewelry - Price Per 1 - 12mm ~ 15/32" 10.49 10.49 https://cdnstoremedia.painfulpleasures.com/media/catalog/product/o/r/org019.jpg InStock 12mm ~ 15/32" 2942 TRIBAL INLAY Natural Horn Tunnel Eyelet Body Jewelry - Price Per 1 - 14mm ~ 9/16" 10.74 10.74 https://cdnstoremedia.painfulpleasures.com/media/catalog/product/o/r/org019.jpg InStock 14mm ~ 9/16" 2943 TRIBAL INLAY Natural Horn Tunnel Eyelet Body Jewelry - Price Per 1 - 20mm ~ 13/16" 11.49 11.49 https://cdnstoremedia.painfulpleasures.com/media/catalog/product/o/r/org019.jpg InStock 20mm ~ 13/16" 2944 TRIBAL INLAY Natural Horn Tunnel Eyelet Body Jewelry - Price Per 1 - 22mm ~ 7/8" 11.74 11.74 https://cdnstoremedia.painfulpleasures.com/media/catalog/product/o/r/org019.jpg InStock 22mm ~ 7/8" 2945 TRIBAL INLAY Natural Horn Tunnel Eyelet Body Jewelry - Price Per 1 - 10mm ~ 00g 10.19 10.19 https://cdnstoremedia.painfulpleasures.com/media/catalog/product/o/r/org019.jpg InStock 10mm ~ 00g 2946 TRIBAL INLAY Natural Horn Tunnel Eyelet Body Jewelry - Price Per 1 - 18mm ~ 11/16" 11.24 11.24 https://cdnstoremedia.painfulpleasures.com/media/catalog/product/o/r/org019.jpg InStock 18mm ~ 11/16" 2947 TRIBAL INLAY Natural Horn Tunnel Eyelet Body Jewelry - Price Per 1 - 24mm ~ 15/16" 11.99 11.99 https://cdnstoremedia.painfulpleasures.com/media/catalog/product/o/r/org019.jpg InStock 24mm ~ 15/16" 2948 TRIBAL INLAY Natural Horn Tunnel Eyelet Body Jewelry - Price Per 1 - 13mm ~ 1/2" 10.54 10.54 https://cdnstoremedia.painfulpleasures.com/media/catalog/product/o/r/org019.jpg InStock 13mm ~ 1/2"